Currently employees who partake in the medical marijuana are at the mercy of their employer. Massachusetts’ existing medical marijuana law does not provide explicit anti-discrimination protections for medical marijuana patients in the workforce. Can a worker really be fired or even denied a job because they partake in a state-regulated medical program? The Supreme Judicial Court on Thursday will take up the question of whether a business can fire or deny an employee for using medical marijuana.A bill is being proposed which would also protect medical marijuana patients from discrimination in child welfare, education, housing and custody cases. This way an employer would refrain from any adverse employment action against his/her employee in relation to medical marijuana. People consume drugs for depression, anxiety and sleep disorders but they’re not fired for their actions. A lot of companies in Massachusetts drug test all new hires and recruit or dismiss based on that. This new bill would overtly protect the rights of medical marijuana patients and ensure that there are no adverse employment consequences. There are additional changes being proposed within this bill. At the moment, a medical marijuana patient is allowed a single caregiver, and a caregiver can only provide marijuana to one patient. However, this system is soon to be changed. In addition to protecting the rights of medical marijuana patients, this new bill would allow a caregiver to provide marijuana for up to five patients and let one patient have two caregivers. These employment discrimination changes within this bill are essential. 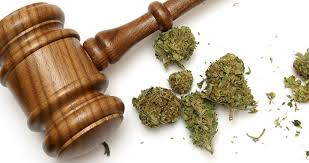 However, this protection would only apply to medical marijuana patients and not recreational users. Many of the state legislators believe that medical marijuana should be treated differently than recreational users. As the stigma behind medical marijuana continues to fade and more of the plant’s profound medical benefits arise, it is only a matter of time before society and laws adapt. If you are interested in finding out if you qualify for the Massachusetts Medical Marijuana Program or would like to set up an appointment with a registered marijuana doctor, please feel free to contact True Herbal Consults at 617-401-5295.